All beverages may not taste the same but if packaged the same, it will be impossible to distinguish one from the other. With the myriad of brands in the market, packaging design has become an important tool to make a product stand out (and make the sale). 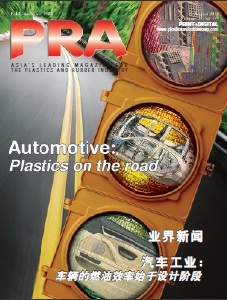 In this report, Angelica Buan highlights some packaging trends that will be seen this year. Studies find that packaging design can influence consumer behaviour largely: it promotes the brand and encourages repeat sales, amongst other benefits. Capturing the attention of potential consumers, which some retail purchase studies say only spans an average of 5-20 seconds, and enabling positive perception can be achieved with the effective use of design elements such as colour, typography, and material. UK beverage research specialist Mintel explained in its packaging trends report the importance of aesthetics as well as new shapes that update a brand or interactive packaging in helping companies reach their consumers on a personal level. PET packaging may not be made lighter but it can be designed to imbue imagination, by catching consumers’ eyes to the possibilities. Amcor Rigid Plastics’s design studio ScorCreative has won a bronze award from the Pentawards, a worldwide packaging design competition, for its Growler-type 1.75 l liquor bottle. 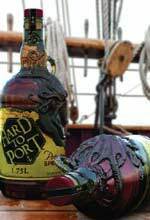 ScorCreative developed one of the first hand-sculpted PET liquor bottles, integrating a nautical theme with several 3D qualities including etchings of an octopus sculpted into the bottle's shape. It did this by utilising several software systems that were adapted from the gaming, animation, movie, and automotive industries, along with its proprietary process applications to accomplish the project in an unconventional manner. Different elements of each software programme were combined and then developed in an artistic rendition of the nautical theme. The PET container includes a cork closure, a neck finger hole, and an octopus etched around the shoulder of the bottle. ScorCreative will adapt the concept design to ultimately create a commercial container. A key goal is adapting the 3D CAD model and creating the intricate detail through the blow moulding process, thus taking the design from concept to store shelf. Going big in the market is brand owners and beverage suppliers need to fulfil consumers’ leaning towards responsible sustainability. This is expected to pave the way for more developments in the market. Norwegian liquid packaging company Elopak has launched beverage cartons featuring at least 75% renewable paperboard derived from responsibly managed forests. Elopak’s beverage cartons also use second generation certified renewable PE made of Europeansourced biomass (not in competition with the food supply), making it the first company to offer such packaging, with a renewable coating, to the European market. Meanwhile, global beverage brand Coca-Cola’s Del Valle Reserva brand of juice won the Technology in Beverage Packaging prize at the 2014 ABRE Awards for being the first brand to use Tetra Pak cartons with biobased LDPE films derived from sugar cane. 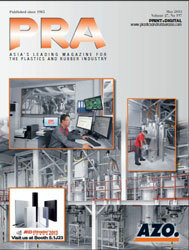 The LDPE, produced by Brazil-headquartered petrochemical company Braskem, has the same physical and chemical properties as the traditional fossil-fuel derived PE. Also following Coca-Cola is Finnish dairy producer Valio that has become the first company in the world to sell products to consumers in carton packaging, from Tetra Pak, made entirely from plant-based materials. 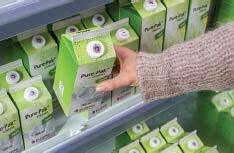 Tetra Rex Biobased carton is manufactured solely from a combination of plastics derived from plants and paperboard. The LDPE used to create the laminate film for the packaging material and the neck of the opening, together with the HDPE used for the cap are all derived from sugarcane. The materials are from Braskem. Valio will trial the package with Valio Eila lactose free semi-skimmed milk drink in retail outlets across Finland until mid-March, and will then use feedback from consumers to decide whether to adopt the cartons more broadly across its chilled product range. Multinational beverage company PepsiCo has introduced fruit-flavoured water capsules known as Drinkfinity for the Brazilian market. The company refers to the product as a "personal and portable hydration system.” It consists of pods that are inserted into the top of a reusable bottle filled with water and squeezed. The twist with Drinkfinity is the packaging. PepsiCo says it has reduced the use of plastics by 86% (plastic savings calculations are based on comparing the pod and vessel with a reusable 20 oz non-carbonated disposable bottle in Brazil, over a period of three years of estimated life of the vessel). Improvements in sustainability require collaboration across the value chain, including converters recommending the right material to brands. Whether it is partnering together on improving the environmental profile of packaging or launching a new technology, collaboration ultimately helps drive innovation. Thus, L’Oreal Americas and Avery Dennison are collaborating to identify and reduce the environmental impacts of packaging labels throughout the entire label lifecycle. The collaboration has already produced a comprehensive Avery Dennison Greenprint assessment showing how thinner label materials can reduce environmental impacts. Avery Dennison Greenprint, a screening lifecycle tool launched in 2010, is the first of its kind in the label industry. According to L’Oreal, the Avery Dennison Greenprint method allows it to look at impact of its label materials, including the raw material extraction, manufacturing, and ultimately the label’s end-of-life. This approach is able to identify where the biggest environmental impacts lie and to devise strategies on how best to mitigate these impacts. This method guided L’Oreal in its decision to transition the labels for some of its leading products to Avery Dennison’s Global MDO substrate. Another example of collaborating on sustainability in packaging design is offered by US firm Dow Packaging. 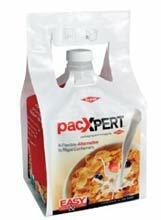 Its PacXpert packaging technology enables the transition from larger traditional rigid containers to flexible stand-up pouch packaging offering sustainability benefits and convenience. While flexible, the cube-shaped package is shelf stable and can stand equally well upright or on its side. It is licensed globally through Dow in an agreement with Smart Bottle, with various technology licensees in Europe and the US.